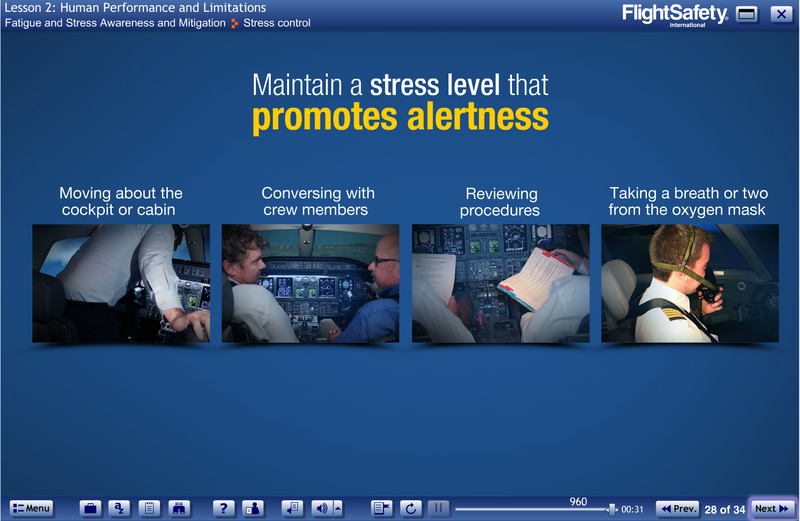 Scenario: You're on a risky flight with a challenging crew member. The Captain is in a hurry and is focused on reviewing reports for an upcoming meeting. The latest forecast at your destination is calling for thunderstorms around your arrival time. 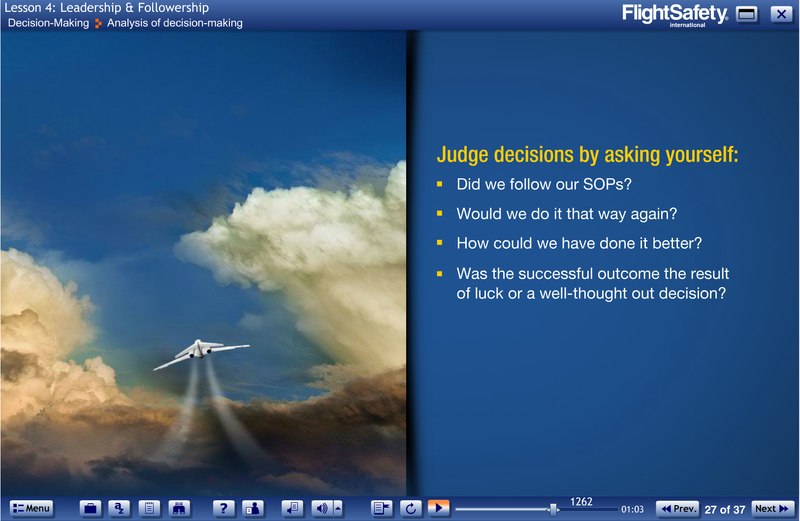 The First Officer has concerns and thinks you should divert. The Captain thinks you should continue on. What do you think the outcome is? 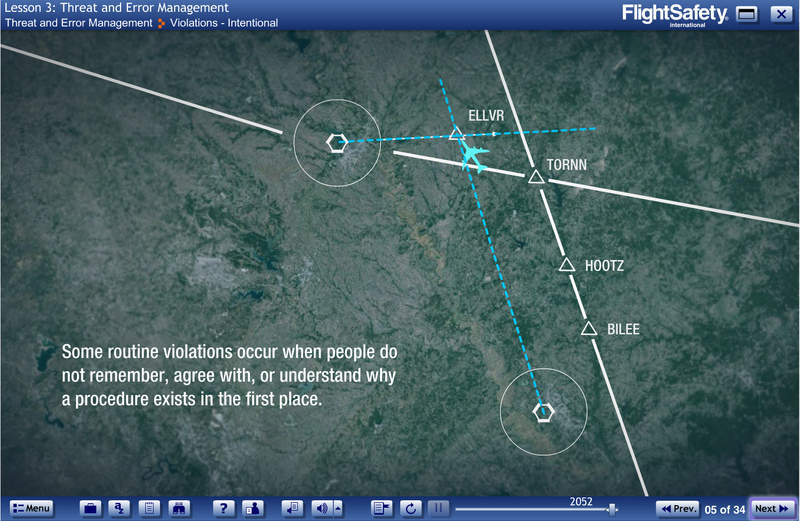 Put yourself in the pilot's seat with FlightSafety's eLearning Human Factors/CRM General Concepts for Pilots course. 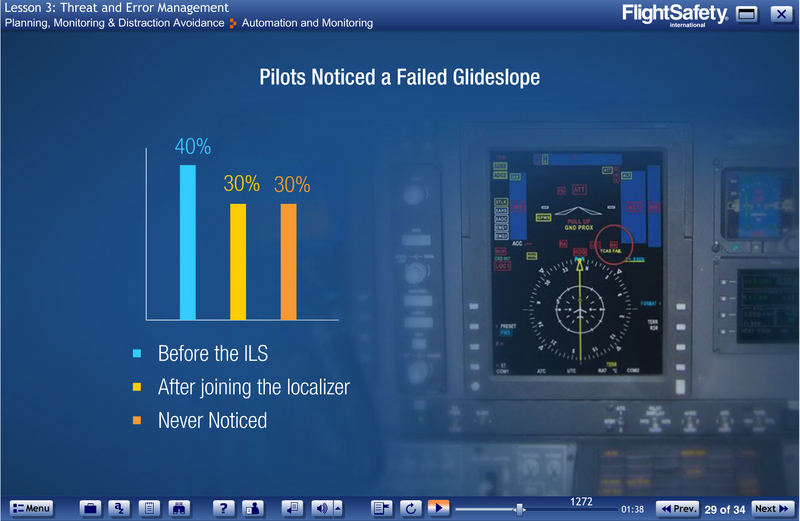 Throughout this course, you will be guided through a scenario where you will answer questions that will influence the story and the final outcome of the flight.